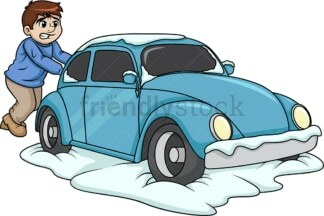 Royalty-free stock illustration of a man having some trouble as he tries to push his car from the back after it got stuck in the snow and was left without gas. Royalty-free stock illustration of a man using a squeegee to clean the snow off of his car window, smiling and looking like he’s in a good mood. 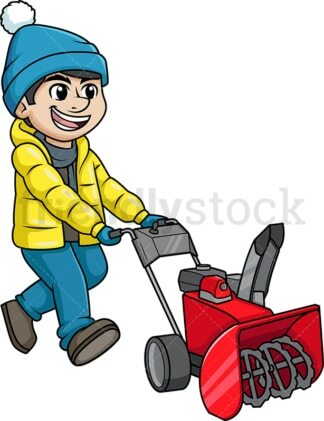 Royalty-free stock illustration of a man dressed for winder, wearing a jacket and a beanie, using a snow removal tool to clean the road. Royalty-free stock illustration of a man wearing winter earmuff headphones and a scarf, out in the snow, smiling as he builds a snowman. Royalty-free stock illustration of a man in winter clothing, wearing earmuff headphones and a scarf, smiling as he makes a snowball to throw at someone. Royalty-free stock illustration of a man wearing glasses, winter gloves and a sweater, using a shovel to clear snow off of his yard. He is smiling and is in a good mood. 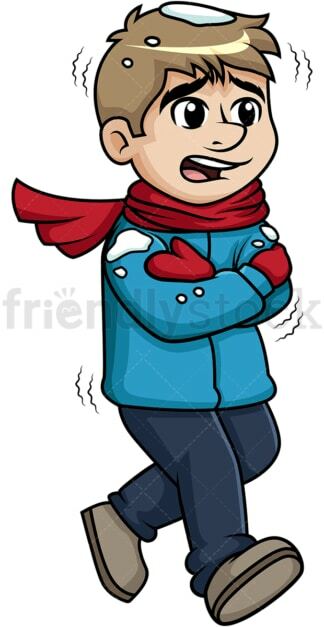 Royalty-free stock illustration of a man shivering as he walks out in the snow wearing a scarf and other winter clothes. 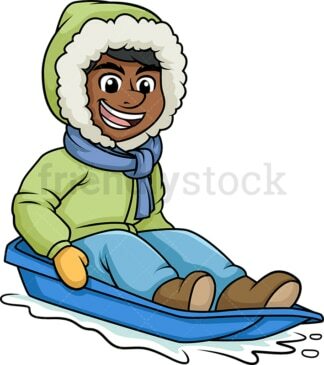 Royalty-free stock illustration of a man wearing winter clothes and a hoodie, going fast through the snow with a sled, looking happy. 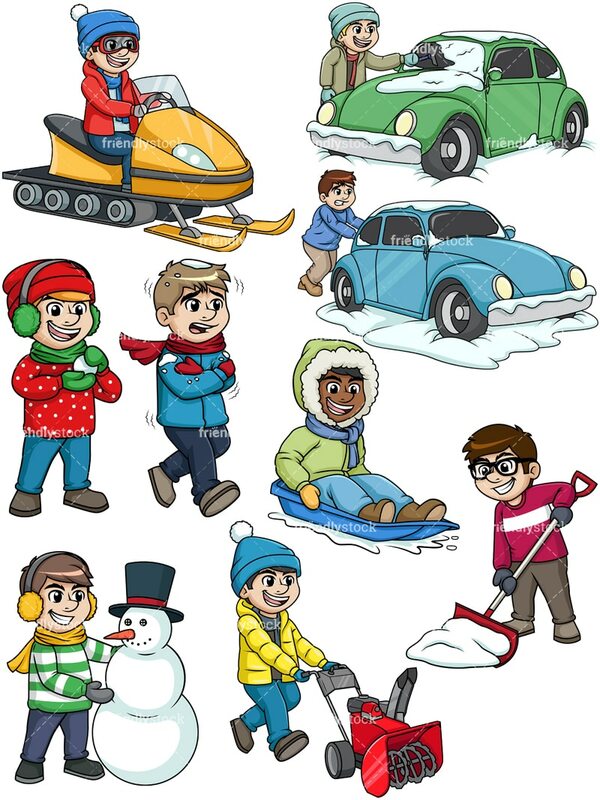 Royalty-free stock illustration of a man smiling as he rides a snowmobile, wearing a beanie and a mask to protect himself from the snow.